Flow. It’s not just a character on a sitcom called Alice. It refers to the sense of getting totally absorbed and losing yourself in an activity. It’s a great feeling to be in flow, but you’re strangely absent of emotion. Rather, you become one with your task. Make sense? I’m not sure it makes great sense to me. It feels great, but I have no emotion. It’s not a physical sensation per se, but the physical is included because usually I’m energized while in flow. Perhaps the emotion that might best describe being in flow is connection or engagement. I’m connected to my task in such a way that all my cylinders are firing and all of my attention is engaged in what I’m doing. Likely I’m using my strengths while in flow, and so probably I’m doing a great job as well. That accomplishment feels good, but maybe only after the fact. Kind of like that tree falling in the forest – you may only see the after-effects of a dead tree. I think there are degrees of flow too. For example, I love to write, but it’s a solitary activity and my communication strength is only moderate. So though I become absorbed in writing, and I love to write, I wouldn’t say that it’s where I necessarily do my best work. In contrast, when I’m training or coaching, then I’m using most of my top strengths including my relational ones. Not only am I performing at my (relative) best, but I’m so energized, I feel like I’m buzzing. I’m using my strengths, so I know that even when I’m tired or not at my best, I will be able to do a good, if not respectable, job. Energy. Accomplishment. Engagement. Losing track of time. Just because you’re not feeling them, doesn’t mean you shouldn’t notice them. These are the paths to your bliss. Follow them. Create them. Grow them. Pursue every opportunity to be at your best, and you’ll become even better. Imagine! Or if it’s not, then it should be. At least that’s how it feels when I’m having a bad day. I wouldn’t ever phrase it that way, but that’s pretty much how I would be feeling. Pay attention to me. Listen to me. Understand me. Agree with me. Do it my way. Say something nice to me. Give me something that I want. Value me as I am. Leave me alone! Of course, I would never put it that way. I would focus more on what you should be doing differently: be more considerate, be more responsible, be more logical, be more supportive, be more generous, be less critical. I may be just as likely to say it more critically: don’t be so inconsiderate, don’t be so irresponsible, and so on. I can’t see this shadow IAAM belief unless I step outside of the thoughts and emotions swirling in my head. Usually those IAAM feelings overtake all other thoughts and logic and don’t allow room for anything else, including the possibility that I’m behaving from IAAM mode. Realizing I’m functioning in IAAM mode gives me some space to understand my role in the dynamic. On the other hand, I don’t want to always operate from an IAAY (it’s all about you) mode, either. First, I’m not a saint (ya think?). Second, I still believe in setting boundaries with others to influence how I’m treated. In other words, understanding my IAAM mode allows me to find the right balance of IAAM and IAAY so that I can draw boundaries that are fair but also loving to and realistic for others. For example, I may draw an initial boundary to say that Thou shalt call me if thou is going to be more than 5 minutes late, and enforce that rule religiously. That seems like a reasonable boundary, right? But creating and enforcing that rule without taking into account my partner’s reality makes it IAAM if, for instance, her job sometimes requires her to be with clients at unexpected times for uncontrollable durations. Now, I’m just creating a situation that makes it almost impossible for her to comply with and so sets her up for failure. The other extreme is becoming a doormat for someone who seems to always be in crisis and IAAM mode. Please avoid the tendency to count the ways that someone else has been mistreating you. That calculation seems to support only one possible outcome. Instead of judging her, I might try to find ways to be supportive of her transitioning to a more balanced IAAM/IAAY, or limit the time and energy I invest into the relationship to only what I’m happy to give unconditionally. Just like most things in life, there are no hard or fast rules. But at least understanding my IAAM tendencies gives me a fighting chance at being fair, compassionate, and setting reasonable boundaries so that I can take care of myself in the process. After all, that’s what it’s all about :). ‘We are all connected’ always had a squishy, metaphysical, woo-woo kind of connotation to it until I learned about it as strength that helps people to be successful. There are times that I have also had that sense of connection, completion, one-with-the-universe (OWTU) feeling though I usually have not associated it with any specific use other than feeling great. But there is new research around this phenomenon, which is called coherence. Coherence refers to connection – whether between individuals and their environment or within one’s self. The phenomenon of coherence results in positive emotion and a sense of unity or oneness. Physiologically, coherence produces synchronous communication between heart and brain. Since this psychophysiological connection appears to be mediated through the vagal nerve, coherence can be indirectly measured through physiologic variables such as heart rate variability (HRV). HRV is believed to sensitively reflect heart-brain communication and to be a strong measure of health and well-being, especially as it relates to heart health and stress management. Apparently, HRV reflects the balance between the sympathetic (flight-or-flight) and parasympathetic (housekeeping) nervous systems. Personality types (as measured by the Big Five and temperament inventories) influences one’s ability to maintain a low HRV (the less variability, the better). For example, do you tend to respond to stress with fight-or-flight or a sense that you are OWTU? Your personality, to some degree, dictates that response. Ah, I feel a bit vindicated now! But I’m not off the hook. Though we may not want to change who we are per se, we may want to moderate and manage our personality so that we may be most effective in all aspects of our lives. That’s sort of what maturity is all about, right? Indeed, I spent much of my misspent youth doing the fight/flight response to some of the smallest of life obstacles instead of responding with equanimity and wisdom. Given that I do have some choice in my behavior, personality not withstanding, I can foster this connectedness strength, even though it’s not high on my strengths list. For example, coherence is produced by slow, deep breathing, relaxation, sleep and positive emotion such as appreciation. For me, simply being mindful and using perspective helps me to cultivate a healthier response to stress. As you might imagine, responding with aggression or avoidance tends to have the opposite effect. In other words, effectively managing stress fosters that heart-brain coherence and ultimately, health, resilience and well-being. In a wonderful and ironic win-win, the sense that we are all connected also helps me to take life in stride. Our interconnection also implies that I have a responsibility to you to maintain my equanimity in the face of adversity. I shouldn’t give you my emotional crap. And visa versa. So if you can’t take care of yourself for your own sake, do it for those around you. It’s not selfish to take care of yourself. It’s necessary for all of our benefit. Our heart-brain connections thank you! Did you know that the death rate in the US is 807 per 100,000 population (CDC, 2011)? No, I didn’t either. In other words, 0.8% of us will die each year. I know death seems far, far away for most of us. But those deaths are not all old people. Approximately 20% of those deaths are due to cancer and another 10% due to accidents, diabetes and influenza/pneumonia. And so our imminent demise is unlikely, but not impossible. That mortality never seemed so close as on 9/11. This year on 9/11, one of my dear friends sent me a lovely note about how she valued me and our friendship. It is a ritual she adopted from her sister: each year on 9/11, they tell their loved ones how important they are to them. This is a sticky idea to me, and I’m adding it to my I-hope-now-daily ritual of what profound good I can do each day. After all, why restrict that lovely ritual to something once per year? Accordingly, yesterday I wrote a gratitude letter to a family member. Gratitude letters have been empirically found to increase well-being, so this is not just a touchy-feely-do-good exercise. 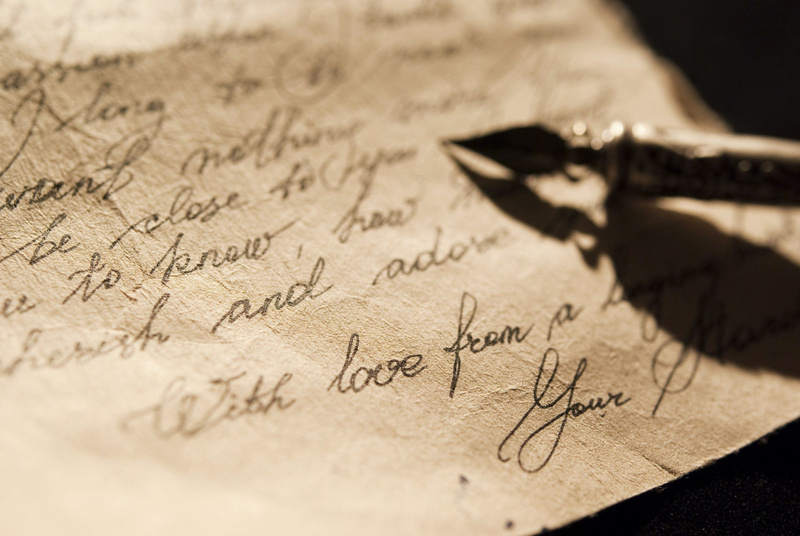 Each time I write a gratitude letter, I am filled with so much positive emotion which lasts for hours. This gratitude letter is to you. I appreciate that you take the time to read this blog, whether daily or monthly, and that you read it with a spirit of openness and acceptance. You never comment about my typos, poor grammar, or misperceptions. Your comments are always positive, and there are some days that you make the difference for me between a good day and a bad day. Some of you even share a little bit of yourself through written or verbal comments, and I feel so honored and grateful to be part of your personal journeys. I am also so grateful to the whole notion of blogs. I never even knew what a blog was 2 years ago and 300 blogs ago when I started writing. What a wonderful vehicle for expression and communication. If this gratitude letter made you feel good, know that I probably feel even better! Try it out, and start with those that you feel deserve to hear it from you the most. It’s one small way we can live as if it’s our last day on earth. Novels. The newspaper. Mindless TV. Naps. These activities have increasingly become my reality over the last few weeks since I’m currently not initiating any new projects and school is over. The pace is going to drive me nuts. You see, I have a problem. My strengths of Zest and Activator mean that I love to get going and I have lots of energy to do so. When I’m apply this energy towards something that I love, then I’m just in bliss. Pure heaven. School provided the perfect outlet for those strengths. It was incredibly intense and I had no life, but with work it provided an endless stream of fun small and large projects that required my energy and attention 16 hours per day. I did not know that I could work that hard for that long (we barely had 2 weeks off at Xmas) and I loved it! It was like crack for my Activator and Zest strengths. Now I’m regrouping and getting caught up on other things. Being patient and in wait-and-see mode is not my forte. In other words, I’m reigning in the Activator and Zest into something more Real World. Last time I had a major transition, I spent the time meditating, reflecting, learning about myself, and using writing as a tool to help me decide how to move forward. I took care of myself and tried new things. It was a blissful and enlightening period and so I welcome this opportunity once again! But not quite yet. I have a few more Modern Family and Homeland episodes and my Lisa Gardner book to finish. I was a little disappointed initially to see Forgiveness as one of my top VIA Character Strengths (authentichappiness.org). Forgiveness, like courage, is viewed as one of the strengths that is episodic. You only need to be forgiving when you’ve been trespassed against. You only need to be brave in the face of fear or challenge. But I don’t think that’s true. I think those strengths are useful every day. I can tell because I used to be very low in Forgiveness and I know that this ability has made a difference in how I feel every day. Depending on how I choose to interface with the world, I may feel infringed upon or taken advantage of with the most minor inconvenience or insult: Aggressive driver? Ignore me in line? Don’t say hi in the hallway? Not friendly at check out? A questionable comment? Trespass at your own peril. It may be hard for some of you to imagine living this way but there is a whole subpopulation who walk around feeling self-justified a lot of the time (I can still be in this group on bad days). But in general, I’ve developed a fairly high tolerance for what boils down to foible humans bumbling through life. Being high in Forgiveness means that I know that each of us are just trying our best, mixed results notwithstanding. Courage is the same way. Most of us are not asked to go to war or to fight for our lives on the street very often (I hope). But courage is required in small ways each day too: telling a loved one we’re hurt, asking a question in class or a meeting, advocating for self in a store or restaurant, admitting you’re wrong, changing careers, going to see the doctor for a suspicious mole or bump. The need for these strengths are not episodic. They’re daily and continual. These days, I’m a big fan of my Forgiveness strength. The strength makes me oddly patient with people, but ironically as an Activator (one of my StrenthsFinders strengths) I’m eager to get started and impatient. I’m sorry to confuse you. I still confuse myself. But that’s OK, I’m only human. I’ve made a lot of changes in the last few years, mainly in terms of trying to be more mindful. I think I’m driving more mindfully, sitting more mindfully, conversing with others more mindfully. I simply do not spend as much time in the future or past I as I used to, and I’m so much more at peace. But I’ve discovered (yet another) area of my life that I have been living somewhat mindlessly. Ironically, for me to be mindful in this area requires a bit more intentional planning. Yes, mindfulness is a balance between planning (looking forward) using history as a context (looking backward) and being mindful and present in the moment. The area I’m referring to is doing good. I think I do good every day. At least that’s my intention. I work hard at my job, my coach and training practice and blog each day to try to serve others and improve their lives. I try to walk through this world with awareness and respect for my fellow man. But stopping to think specifically how I can do some profound good each day? I got this idea from Catherine Ann Jones’ book Heal Your Self With Writing, which she credits to Benjamin Franklin. I’m mindless enough (a recurring theme) to not be able to remember to practice this each day, but the days that I have done it have either touched someone else (I made a loved one cry), or made me feel euphoric. This is not rocket science. We already know that one of the best ways to find positive emotion is by giving of yourself to others. A dear friend, Mimi Cox has a practice on her birthday to perform an act of kindness for every year she has spent on the earth. She anonymously leaves gift cards or flowers for strangers, volunteers, and writes gratitude letters. She inspires me to be a thoughtful and creative giver, a skill I have not really tried to develop until now. Thank you Mimi and others like you who seem to just be oozing kindness and generosity. I can only strive to follow your footsteps.